Throughout my career as a DJ and mobile entertainment company business owner, I’ve strived to stay consistent about consistency. I ran a full-service multi-op in Connecticut with 23 DJs who worked for us. 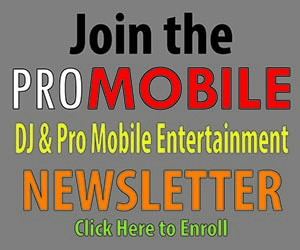 We were the mobile entertainment division of seven radio stations that were owned by a major national broadcasting company. Eventually I sold the company but not until I made it very successful, which absolutely involved consistency. My business philosophy? If I say I’m going to do something, I do it. If I say I’m going to be somewhere, I’m there. If I initiate a new business process or initiative, I follow through. 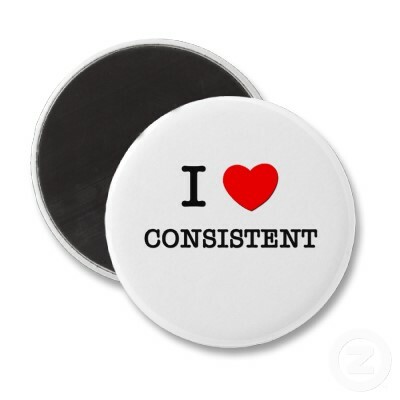 In my experience, consistency is a must as you build and grow your business. I typically give new initiatives, processes, and organizational structures at least six months before judging them a success or failure. It’s often minor tweaking instead of major overhauls that make the difference. I ask my employees to be accountable for their deliverables and goals. They should expect the same in return from my leadership. I put a priority on making time for and being available to my team. I work to establish consistent and recurring meetings when a project or aspect of the business requires attention. Business growth requires a track record of success. You can’t establish a track record if you are constantly shifting gears or trying new tactics. Many efforts fail before they get to the finish line, but not because the tactic was flawed or goals weren’t clear. The problem is often that the team simply didn’t stay the course to achieve the objective. Your employees and your clients need a predictable flow of information from you. All too often I see businesses, both small and large, adopt a campaign or initiative only to end it before it gains traction. It’s effective to run many advertisements, numerous blog entries, weekly newsletters, or continual process changes throughout a year. Your team pays as much or more attention to what you do as to what you say. Consistency in your leadership serves as a model for how they will behave. If you treat a meeting as unimportant, don’t be surprised when you find they are doing the same to fellow teammates or even clients. When something doesn’t work, I look back at what happened and ask some serious questions. Did we shift gears too quickly? Did part of the team not deliver on a commitment? Or was the expected outcome off base from the start? Most of the time, the reason tracks back to lack of consistency. Okay, so now I’m just being consistently annoying, but you get the point, right? DJ RuDe Presents the Vestax VCI-400 @ West Coast DJs Live 2012!